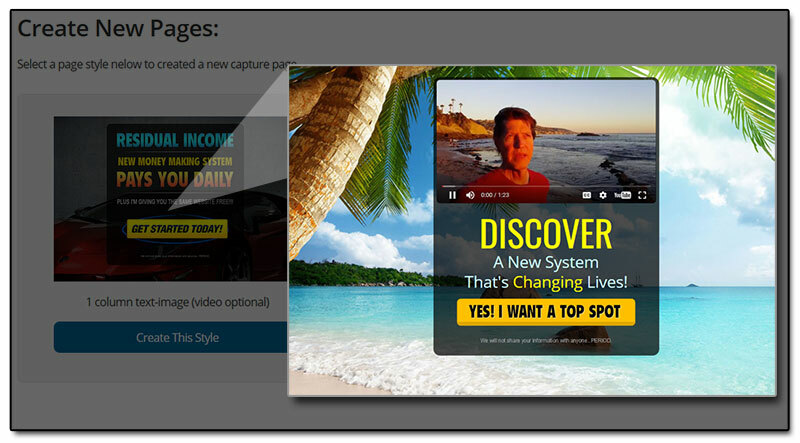 BUILD a Monthly Income of $10,000+ Within 90 Days! Capture pages that let you customize them the way you like. Custom text editor with Pre-loaded templates. Easily Integrates with popular auto-responders, (TrafficWave, aWeber, GetResponse). Add Video to capture pages. Facebook Pixel Tracking - A powerful retargeting feature. And Sooo Much More… Just Share Your Link and Let The Done-For-You System Do the Selling For YOU! Capture Pages - Fully Customizable, Add Video Too! Ready To MAKE MORE MONEY! Click On The Button Below and Get Started Today!